The PT1322 is a highly efficiency, current mode control step-up DC/DC converter with an integrated 120mΩ RDS(ON) N-channel MOSFET. 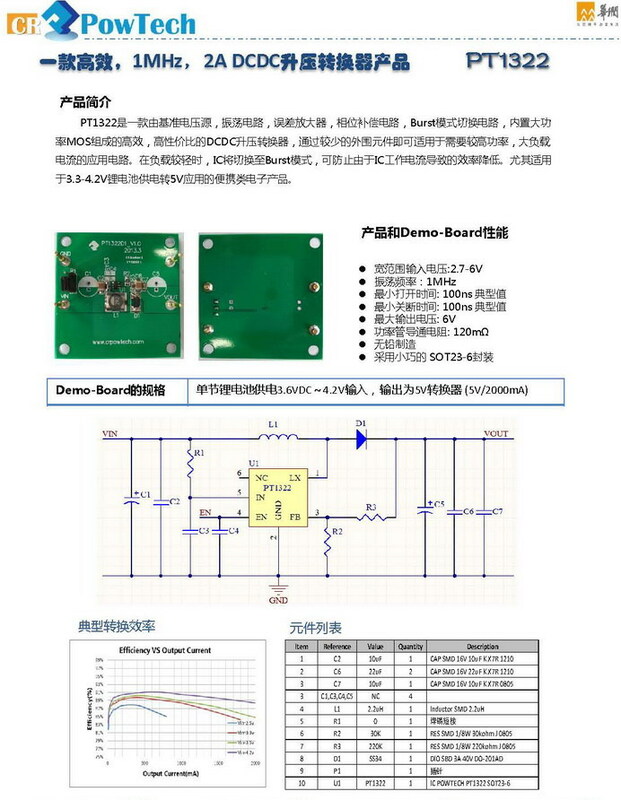 The fixed 1MHz switching frequency and internal compensation circuitry reduce external component count and save the PCB space. The built-in internal soft-start circuitry minimizes the inrush current at start-up. The PT1322 is available in SOT23-6 package.